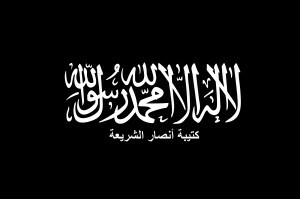 The UN-designated terrorist group Ansar Al-Sharia, which allied itself to Al-Qaeda, has announced that it is dissolving itself. This will be the second time that it has done so. Five years ago, in the wake of a major public backlash at the Benghazi murder of the popular US ambassador Chris Stevens and three other Americans in the US consulate, Ansar Al-Sharia, which was held responsible for the killings, said it was disbanding. In fact it did no such thing. Although its fighters initially withdrew to the Jebel Al-Akhdar (Green Mountains) they were soon back in Benghazi involved in the almost daily murder of serving or former police and army officers with car bombs and drive-by shootings. These murders finally triggered the Karama (Dignity) operation by the-then retired Qaddafi-era general Khalifa Hafter. Three years on, the final remnants of Ansar Al-Sharia, along with the Benghazi Revolutionaries’ Shoura Council and IS are besieged in their last two Benghazi enclaves of Sabri and Suq Al-Hout. In its statement yesterday announcing its disbandment, Ansar Al-Sharia said that it had been weakened in the fighting. Certainly the 2015 death of its leader, Mohamed Al-Zahawi from injuries suffered in an airstrike impacted on the organisation. But security analysts spoken to by the Libya Herald believe that no less important was the rise of the so-called Islamic State (IS) which drew fighters away from its ranks. IS had the superior organisation, discipline and supply lines and an altogether stronger “brand”. Nevertheless, those who claim to know, caution that militant bodies such as Ansar, IS and the BRSC are not homogenous and sealed groupings but largely share a common ideology and therefore have a fluid membership. From a Libyan perspective the one thing that set IS apart from other Islamist militants was that its membership included many non-Libyans whereas Ansar and the BRSC have tended to attract locals. It was after all the antipathy to foreign Islamists that caused the Shoura Council of Mujahideen in Derna (SCMD), widely seen as pro-Al-Qaeda, to turn on the imperious IS militants in their town and throw them out.